The Labyrinth is my theme for this new Moon. At the moment of the Solstice on June 21, the Sun entered the sign of Cancer to begin a new season, and to turn once again to the South. Sun and Moon will meet at 5° Cancer on Friday, June 27. We are all poised at the entrance to a new labyrinth, a new Moon cycle and a new season. Friends in the Southern Hemisphere welcome the Sun back and feel the approach of winter; we in the North bask in the light and warmth of summer days, even as we begin to lose daylight. 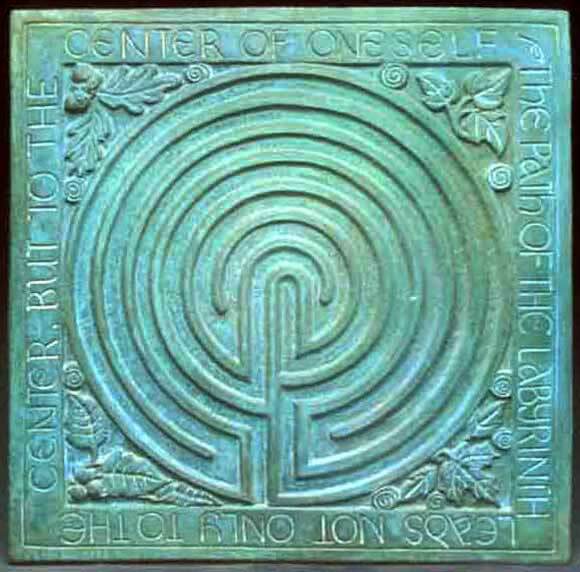 The labyrinth takes us closer, then farther from our goal of self knowledge. Across the chart from Sun and Moon in Cancer, Pluto watches the new couple with Capricorn’s ever cautious perspective, and Pluto’s passionate insistence that we pay attention! As we enter the labyrinth, we don’t know what devouring monster might lurk within. The Minotaur, Asterion was at the center of the Cretan labyrinth. He is portrayed as a cruel monster, but he was also once the beloved child of queen Pasiphae! 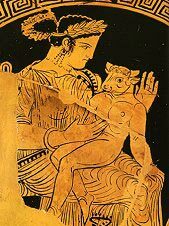 Here he is as a cute little baby Minotaur on her lap. In this light we see him as one of many portraits of a mother and child, symbol of the sign of Cancer. The story, as it has been told is that Pasiphae fell in love with a white bull, a gift from Poseidon (Neptune) to her husband Minos, king of Crete. She gave birth to Asterion who was later placed in the center of a labyrinth built by Daedelus. 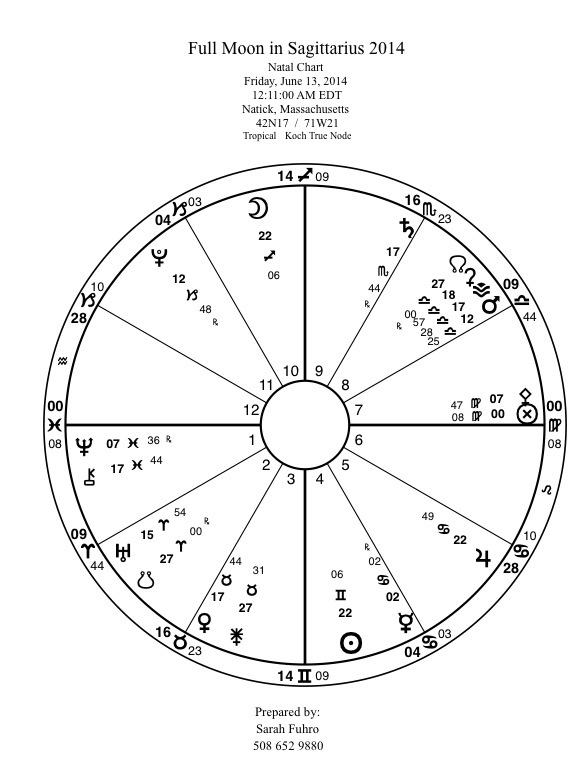 Note that in the chart for this new Moon, Neptune is making a close aspect to the Sun and new Moon. Neptune erases our usual boundaries of time and space. At this moment of new beginnings, we look at the ancient roots of the Minotaur story with the understanding that there is no time except the present! 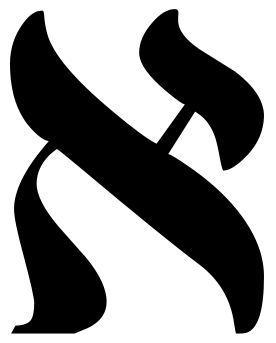 When the spring equinox took place in the sign of Taurus the bull, (5,000 years ago) agriculture and alphabets appeared on the scene, and this may also have been the birth of astrology as we know it The first letter of the Hebrew alphabet, which developed during this age of Taurus is Aleph, the ox. The Egyptians built the pyramids and refined the use of papyrus as a writing surface during this period. The Ankh, Egyptian symbol of life has been compared to the cross section of the thoracic vertebra of a bull. The Age of Taurus seems to have been a cooperative and peaceful period, which ended with the Age of Aries, when war like cultures, e.g. the Mycenean, overthrew matriarchal civilizations like Crete. This is a period when the Moon goddess was honored in many places. The Moon is delighted to be in the sign of Taurus. Because the horns of the bull are like the crescent moon, there are many connections to horned deities in lunar symbolism. Here is Isis decked out in her crown of full and crescent moons. But how does all of this ‘bull’ relate to the new Moon in Cancer on Friday? How does the ancient power of the Moon in Taurus and Cancer have any bearing on our lives at this time? The Moon is a symbol of joyful renewal. In Cancer the Moon is at her most powerful. We are given the opportunity to apply the wisdom of her cycle to our lives. Like the High Priestess Tarot card, she offers us the wisdom of the ages. For even though there are powerful and noisy forces at work in the world, and in this chart as well, we are held in a moment of balance and peace, the end and the beginning. 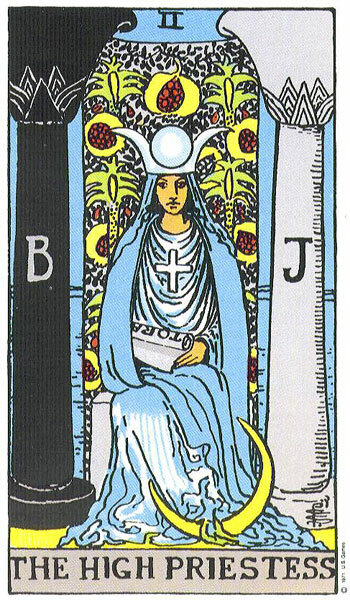 Like the High Priestess who represents the Moon, and wears the Moon crown of Isis, we do not have to take sides. For this moment, we do not have to act upon the fiery impulses of the Mars and Uranus opposition or listen to Mercury in Gemini chattering away, or take the stern advice of Saturn in Scorpio. We can stand in a moment of stillness at the entrance to the labyrinth, draw a deep breath and know we are always at home. Thank you, to my sister Moon celebrant, Eleanor B. Miller who planted the seeds of these lunar ramblings, and has supported and watched over them ever since. May the Moon lady shine her light and reveal her darkness to us all! 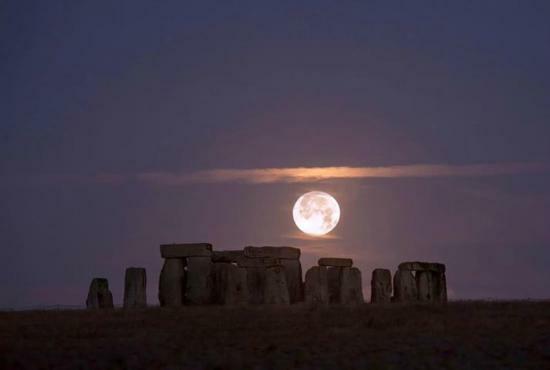 Friday, the 13th of June will begin with a full Moon just after midnight. Thirteen is an important number in the Moon cycle for it is the number of Moons in a solar year. This issue of Moon and Sun in calendar calculation has to be solved in a number of uncomfortable ways, rather like the problems of Cinderella’s step sisters when each tried to put her foot into the glass slipper. The earliest calendars were calculated on the Moon’s cycles, and Jewish and Islamic calendars remain lunar. The problems arise when a lunar calendar must correspond with the Sun’s journey in a solar world. 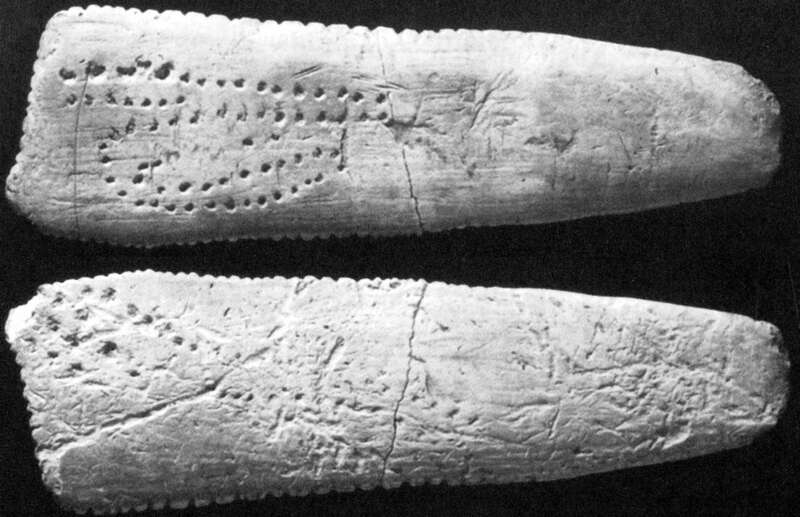 Below is a picture of a stone age Moon calendar. The fear of thirteen as an ‘unlucky’ number may be related to the persecution of those who kept to the lunar calendar, as this was considered a sign of witchcraft. Since Friday is sacred to the goddess, and the planet, Venus, there was further fear of the contamination of the feminine in a polarized world view. To celebrate the revival of the feminine, witches, druids, and those who love the earth, turn toward the lunar calendar to enrich our sense of the sacredness of time and season. Friday the thirteenth is a day to celebrate a lost segment of our connection to cosmic time. This is the Moon of Duir the Oak. It is the Moon of the Summer Solstice when the Oak King is defeated by the Holly King, and begins his departure to the South. He will not return to us in the North, until he renews his battle at the Winter Solstice. Oak is the king of the forest trees. 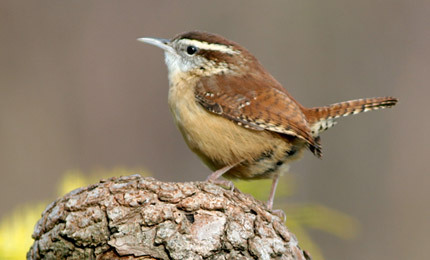 The Oak’s bird is the wren, tiniest of all. She represents the sacred aspect of life, we so often miss. The opportunity to harmonize rather than polarize our way of looking at the world is given with each full Moon and this one is about the power and pleasures of rational thought (Gemini) and the observance of spirit (Sagittarius). 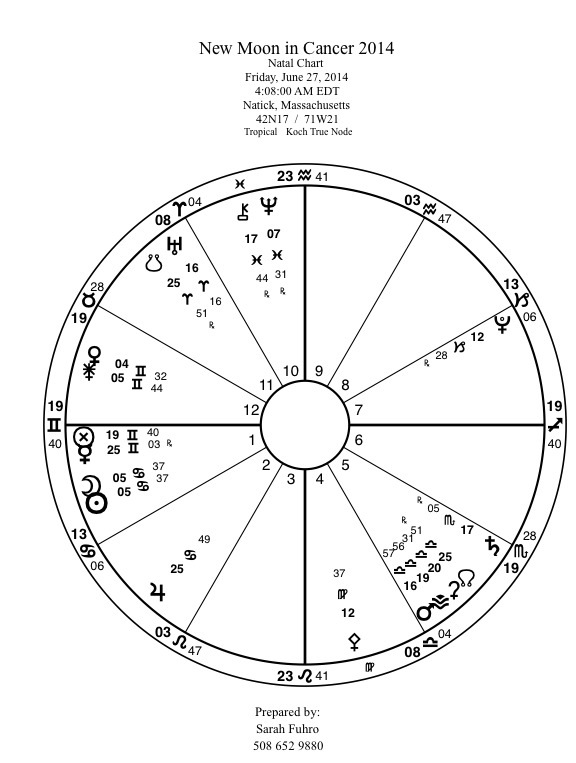 In this chart, Jupiter who rules the sign of Sagittarius is in the Moon’s sign, Cancer. We each have the opportunity to celebrate our thoughts and our intuition with this full Moon. Jupiter is the only planet with an exact relationship to the Sun and Moon face off. His degree has the Sabian Symbol, ‘The Meeting of a Literary Society. ‘ This is a perfect image for the Gemini Sun/Sagittarius Moon. It’s a book club, where the pleasures of reading are shared in communication with friends, a mixture of intellectual activity (Gemini) and a social and spiritual gathering (Sagittarius). We have some other interesting markers in this chart as well. Mercury is rolling backward (retrograde) and will return to his sign of rulership (Gemini) soon. Here is the opportunity to rethink commitments, ideas, strategies. You may want to edit your writing project rather than plunging ahead with it. You, and the rest of the world have this time to change your mind! Venus and Saturn are also in opposition like Sun and Moon. Saturn is in retrograde and moving through old material. Wouldn’t this be a good opportunity since Saturn is in Scorpio, a sign of deep and serious excavation to look at your own history with Venus, who is in her natural sign of Taurus? What is your romantic history? If you know what sign Venus occupied when you were born, you can get a flavor of your outlook on love. There is another dimension to this opposition between Saturn and Venus. This is a good combination for any kind of artistic (Venus) work (Saturn). It could also be a time when financial efforts would pay off, if looked at with deep scrutiny. What are your resources? 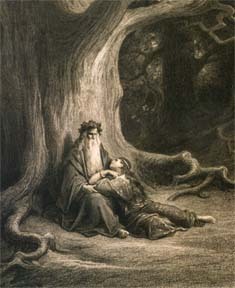 If we think of Merlin and Nimue, we can see how these two planets have something to offer each other. Each is in charge of a vital part of life, love (Venus) and work (Saturn). Until we love our work and work at our love, things never go right. Mars and Pluto are in a tight square. They are higher and lower expressions of each other. Mars is an everyday representation of action. Pluto is the deep and fateful expression of unintended consequences from our actions. Uranus is still with range to square Pluto and oppose Mars. If we observe our actions (Mars), and their consequences (Pluto), we have the potential to create an evolutionary step towards greater understanding of who really are (Uranus). Read the Sabian Symbols for this Moon and it offers a deeper insight into the potential of this moment in time. The image for the Moon is ‘A group of immigrants as they fulfill the requirements of entrance into the new country. Consciously accepting the ways of a new stage of experience, in readiness for the opportunities it will present.’ Are we ready to be immigrants to a new land, where we will no longer know the ways of our past conditioning? The Sun in Gemini: ‘Three fledglings in a nest high in a tree. The growth of spiritually creative processes in an at least relatively integrated mind.’ So we have fledglings and immigrants as our model for this full Moon moment when Sun and Moon face each other Friday at midnight. May you enjoy what the moment has to offer. Sabian Symbols are from An Astrological Mandala. Dane Rudhyar. From the work of Marc Edmund Jones.